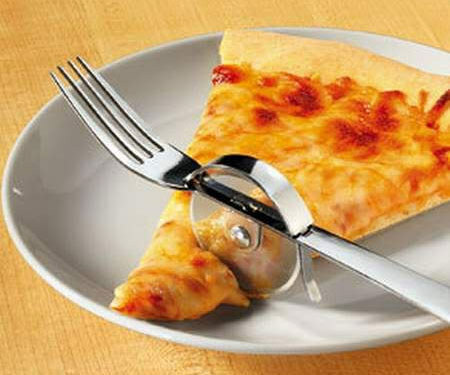 Ok folks, I have found them…the funniest, weirdest kitchen gadgets and utensils you could ever need! Part of me wants to poke fun at these and say how silly they are and that no one would ever spend good money on these, but the other part of me sees the value in these when I think of the lazy side of me when I just want to veg on the couch, but still eat. :) I would use any of these! Except for maybe the last one…that one is just a little too weird for me! Ok, let’s get this silly party started! Modern technology with television has come a long way in the last few decades. First came a beautiful thing called a remote control where we no longer had to get up off the couch to turn the tv on, to change the channel or change the volume. Now, we don’t even have to put in a DVD to watch anymore! With the streaming capabilities of Netflix (and many others) and the bazillion channels you have to choose from on your cable or satellite. Ok, now let’s think….how can we take this one step further and make our television experience even better?? Is it possible? Now, we all like our movie snacks, right? This is one area with some potential improvement I can see. 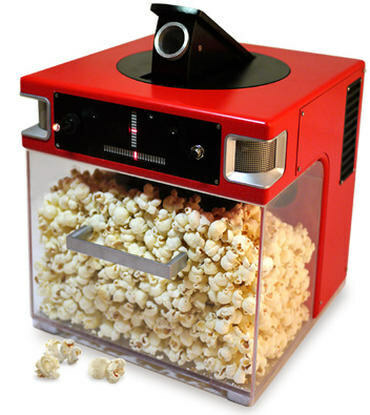 What if I told you you could eat popcorn without having to move your arm from the bowl to your mouth?! Ladies and gentlemen, without further ado, let me introduce you to the one, the only….POPINATOR!! Ice Cream Cone Licking Got You Down? Lately, I have been on such an ice cream cone kick! We are having quite a heat wave here lately, and nothing quite hits the spot for me other than a giant waffle cone. But you know what? Sometimes licking the ice cream just feels like too much! It’s hot…you’re tired! Who has time to lick anyway? Well, please let this motorized ice cream cone do all the work for you! 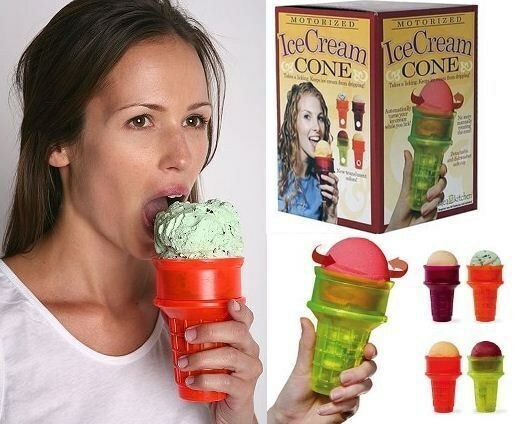 It will only cost you $24.95 to eat your laziest, most delicious ice cream cones again and again! Batteries not included. Or ya know, sometimes eating spaghetti can just be overwhelming. All that twirling….uggghh! 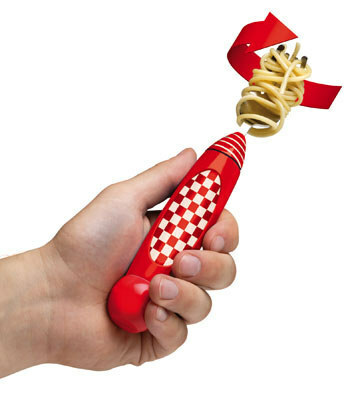 How about you get yourself a self-twirling spaghetti fork? This fork does everything except lift itself to your mouth. That part is on you. And for the grand finale….I give you the Rollie Eggmaster. From what it looks like, this cooks up an egg into a convenient fudgsicle shape that is quick and easy to eat. Once again, I just want to add that if you do happen to own any of these, I’m totally not making fun. I really would use these, I just have the world’s tiniest kitchen, so I’m not sure I have room for specialty gadgets like these! Let us know if you have any of these silly gadgets and whether you think they are a must-have or not in the comments below.